Ubisoft made big waves in the industry when it released Rayman Origins, a triumphant return to the company mascot’s 2D platforming roots. Blending goofy humour with thrilling platforming sequences, it captured the hearts of millions, but perhaps the most stunning aspect of the release was the flash new engine that it ran on. UbiArt allowed the art team to manipulate hand-drawn sprites with impressive gusto, presenting players with an unprecedented art style that really did bring drawings to life. 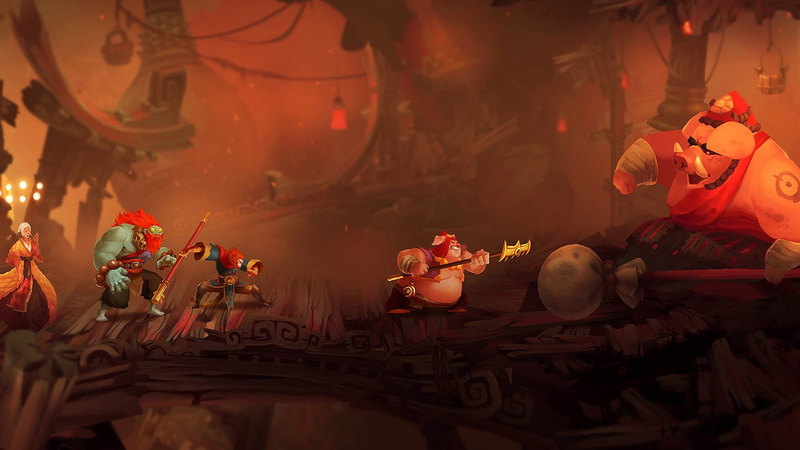 Unruly Heroes, a new platformer from Magic Design Studios (consisting of some staff that worked on Rayman), carries on the dream and acts as a sort of spiritual successor to Origins, blending a fantastic art direction with slick platforming gameplay that makes for a compelling experience you won’t want to miss. Unruly Heroes is a retelling of the classic Chinese folk tale Journey to the West, following the adventures of four unlikely (or, ahem, unruly) heroes as they endeavor to collect all the fragmented pieces of the Sacred Scroll and restore peace to the world. It’s an admittedly flimsy premise, but what’s lacking in the story department is more than made up for with the overall charm and humour that permeates every bit of the cast and the environment. Whether it be the goofy band that plays music on the loading screen or the hammy but surprisingly solid voice acting, there’s a certain kind of whimsy to Unruly Heroes that draws you into its deliciously weird and beautiful vistas. Just about every level you encounter instils a sense of awe in how it lays out the environments, paying immaculate attention to detail to make the lush countrysides and damp caves feel like real places with self-sufficient ecosystems. Things like tiny drops of water dripping inconsistently from a cave ceiling or fireflies dynamically flitting about in the foreground cement this feeling, and the way in which the background gradually fades out soaring rock faces and warm sunsets creates a powerful sense of scale for a 2D game. Unruly Heroes stands as a prime example of how well a strong art direction can carry an interactive experience; this is arguably one of the most visually striking games available for the Switch, not because of how far it pushes the hardware, but because of how focused it is in executing the chosen art direction. Luckily, the gameplay is no slouch either, even if it isn’t necessarily anything innovative. Levels are laid out in a Donkey Kong Country-esque fashion in which the path forward is always made abundantly clear, but little caves and branching paths along the way usually lead to extra goodies. It builds on this, however, by instilling subtle puzzle-solving elements that necessitate regularly swapping control between the four main characters to best use their unique abilities. One character can inflate like a balloon to access hard to reach places while another is capable of breaking down special stone walls, and while there’s nothing here in the puzzle design that’ll really make you think, it provides a welcome break in the platforming action every now and then. The platforming itself could hardly be described as difficult either, but it’s clear the developers have made quite an effort to give each level a unique stage gimmick of some sort to make it memorable and interesting compared to what came before. One stage sees you riding a wooden log down a gorgeous river, while having to dismount at key points to save the log from getting ground up by buzzsaws. Another stage takes you through a spider’s nest laden with eggs that have to be destroyed in a certain order on each screen, culminating in a fight against the queen of the nest. The next stage then lets you take control of the defeated spider queen, using her attacks and wall-crawling abilities to your advantage. Although the relative ease of these stages does take a bit of the wind out of their sails, Unruly Heroes understands the value of memorable set pieces and diverse stage design, making for an experience that always keeps you guessing. Threaded through all the platforming and puzzle-solving are slices of combat that see your characters having to fight off all manner of animals and monsters, and while this is perhaps the weakest part of Unruly Heroes, it’s still surprisingly engaging for what it is. The four characters all more or less control the same, but utilise a different weapon of choice to make them feel unique, whether it’s an old-fashioned Bo staff or a Zenyatta-style collection of floating orbs. A quick tap of the shoulder button initiates a dodge roll and spamming ‘Y’ or ‘X’ causes your characters to dole out the pain with a mixture of light and heavy attacks. Once you’ve built up enough of a combo, a unique and flashy special move can be triggered that torches any remaining stragglers. As a side dish to the main course of the platforming, combat works well, but it does tend to get repetitive with time. It should take you anywhere from five to ten hours to see Unruly Heroes through to the end, but there’s plenty of replayability options here for completionists. Every stage contains a hundred gold coins to collect – which can then be spent on new skins for the four playable characters – and a secret scroll which unlocks a piece of concept art for viewing in the extras gallery. Also, you’re given a ranking medal upon completion of a stage which takes into account how many coins you collected, how many times you died, and how fast you finished. Along with all this, you can naturally play with a friend in local co-op at any time, and even take them on in a segmented PvP arena with a handful of stages and game modes. It’s a neat distraction, one that some players will no doubt find a solid amount of enjoyment in, though the complete lack of other players in the online matchmaking lobbies was rather disappointing. 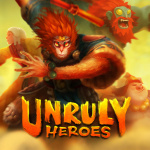 We certainly wouldn’t recommend Unruly Heroes for its in-depth multiplayer potential, then, but what’s here is a welcome inclusion that’s harmless at worst and good value added at best. The ever-expanding Switch eShop has no shortage of excellent platformers under its belt, and while Unruly Heroes may not be the absolute best of the best, this is still one of the finest platformers we’ve played in a long time. Stunningly beautiful art direction coupled with diverse level design and well-paced gameplay makes this one an easy recommendation for both longtime platformer fans and for new players looking for an easier game to get into. It doesn’t reinvent the wheel, but Unruly Heroes hits all the notes that it needs to, and it’s more than deserving of a spot in your games library. Wouldn't the better comparison be made with Rayman Legends because of the multiplayer and all? @DeathUriel I believe the console versions of Origins had four-player co-op, did they not? I may have to keep this game in mind, as Legends is probably my favorite 2D platformer of all-time, and I love its hand-drawn art style. @Not_Soos Maybe you are right. I only tried it on the 3DS. I automatically thought of Rayman Legends when I saw this after the Nindie presentation. Might buy it in the future. I will defiantly put this on my wish list and see if it goes on sale. As my backlog can keep me busy for months so i can wait. Might download someday when it gets discounted. This review reads more like a 9. Journey to the West is one of my favorite novels, and Rayman Origins is one of my favorite games, so this is an easy sell for me! geezuz fok are you gonna review wargroove or WHAT? @ilikeike I wasn't aware that the story was humorous. How prominent are the comedic elements? @SwitchVogel awww yeah thanks! had no idea this came out before the release!!! This has had some much less favourable reviews on a few youtube videos I've seen. I may wait for the dust to settle, and see more opinions when people have finished it. Sounds like another game that needs to be on my list. I don't know if I'm every going to get to all these games though. @brunojenso I have mixed feelings, it's good to play with a partner but I wouldn't say it's as good as the Rayman games that inspired it,especially when playing alone. So I guess i'll add this to my wishlist so I can keep an eye on it if it goes on sale. @Elvie I'd say that the comedy is quite prominent. Yes, the story is wrapped in lots of obscure Chinese and Buddhist mythology, but if you can get through all that you'll find tons of wild adventures and zany slapstick humor. The character's are also very humorous, such as the gluttonous pig-warrior Chu Pa-chieh and the intelligent-yet-cowardly monk Tripitaka. And of course, the famous Monkey King Sun Wukong is quite a trickster character, constantly playing practical jokes on his enemies, making for some very funny battles. There's a reason the characters from the book are all icons of Chinese culture--they're likable, memorable, and frankly hilarious. @brunojenso I've also heard it's not as much fun unless you've got more than one player. I think that's a lowkey hit of the Ninde Showcase. It immediately got my attention due to the use of Journey to the West characters, something I've been meaning to read. 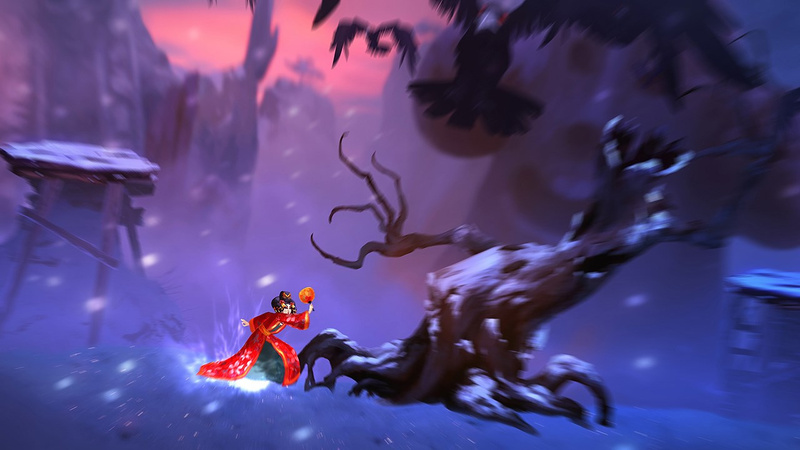 I had some fun with the Rayman Legends demo, I think I could get some fun out of this! @wazlon Yeah, that's one of the things I've heard. A shame as I'm mostly a single player campaign kinda guy. I'm also Buddhist so this feels a shame to miss – although as someone about mentions it's 'loosely' Buddhist in its mythology - after all it's an action game. 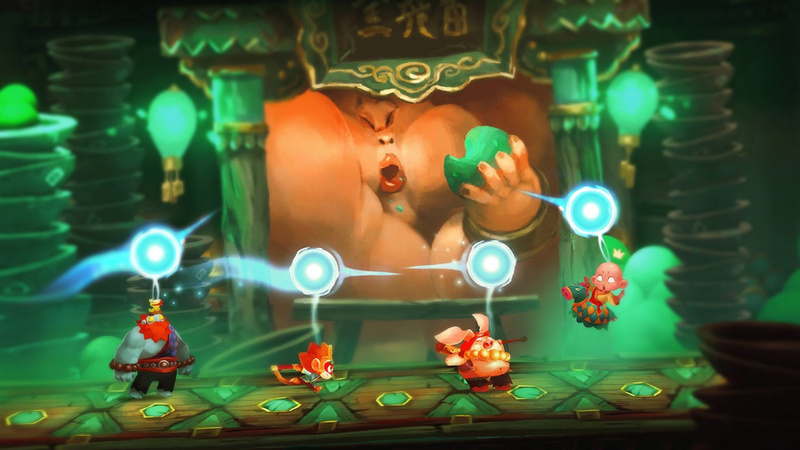 So... this is Rayman Origins made for the Chinese market? OK just tried the game, it plays more like Trine than Rayman: you need to switch between characters to use their abilities. In Rayman Origins/Legends whichever character you choose is purely cosmetic, but in this game you need to constantly switch characters. 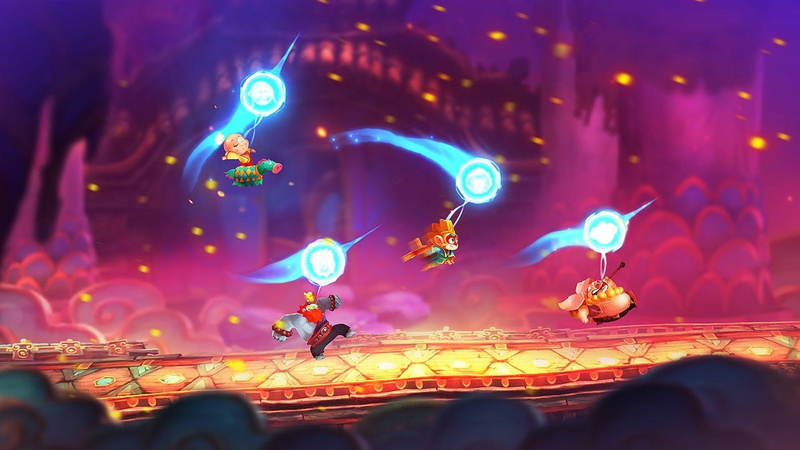 Art style is similar to Rayman, that's about it. The reviewer should have made that clear. @ilikeike Is there a specific English translation you'd recommend? @BulbasaurusRex Anthony C. Yu's translation is generally regarded as the definitive English version. I enjoyed it because of its apparent faithfulness to the original text and the extensive amount of explanatory footnotes. Arthur Waley also did a popular translation of the story that is easier to read than Yu's version, but is heavily abridged and leaves out a lot of interesting details and subplots. I'd say Yu's translation is the way to go if you want the full experience, while Waley's edition is fine if you just want to get a feel for the characters and story in general. On to the wishlist you go!